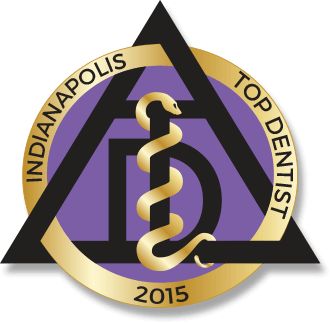 Do You Have Gum Disease in Indianapolis? Start Here! Gum health is one of those classic things that people take for granted… until there’s a problem! But since your gums are the foundation for the rest of your oral health, it’s well worth it to make sure they’re strong and healthy. What’s more, periodontal (gum) disease is one of the most common diseases in the U.S., with half of adults over the age of 30 having some form of it. In this blog, we’ll talk about the signs of gum disease in Indianapolis, periodontal therapy, and why gum health has to be established before you can move on to other dental work like implants or cosmetic procedures. Also, people with gum disease have deeper “pockets” around the teeth that collect plaque, bacteria and tartar. 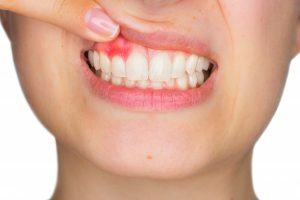 Even with good brushing and flossing, it can be impossible to access these areas and remove the buildup, which then makes the gum disease worse. Why Does Gum Health Come First? When it comes to oral health, many people only think about preventing cavities and keeping their teeth healthy. But the gums and underlying jawbone are what support the teeth and give them stability. In fact, in advanced cases of gum disease, even teeth that have never had cavities can become loose and fall out because the structures that keep them in place have been damaged. If you have gum disease and would like to have implants or cosmetic work done, your dentist will want to treat your gums first. Here’s a good analogy: You would never invest in a new roof on a house that has a faulty foundation. It’s much the same with dental work. Having extensive work done when you’re at an increased risk for tooth loss just doesn’t make sense. The good news is that there are effective treatments for gum disease. Having said that, it’s important to understand that advanced gum disease can’t be cured, it can only be managed. But the right treatment, along with excellent hygiene at home, will greatly reduce the risk for tooth loss. The main type of periodontal therapy is what’s called scaling and root planing, also known as a deep cleaning. This treatment is a special type of professional cleaning in which the patient is numbed first so they are comfortable throughout the appointment. Then the hygienist will thoroughly remove the buildup from any areas of deeper pocketing, which will help the pocket become smaller. When the pockets aren’t as deep, your brushing and flossing habits are much more effective at keeping your gums clean and stabilizing this condition. By working together with your dentist, you can set the stage for a lifetime of great oral health! Dr. Mark Farthing and Dr. Armin Tepner have many decades of combined experience in general, restorative and cosmetic dentistry. They understand that a healthy smile is a beautiful smile, and always help their patients achieve healthy gums before moving on to more extensive treatment. If you have any questions about your gum health, they can be reached through their website or at (317) 898-3384. Comments Off on Do You Have Gum Disease in Indianapolis? Start Here!